Ethiopia and Eritrea began a spectacular rapprochement this summer, and stability in the Horn of Africa depends on its lasting. Apeaceful revolution has transformed relations between Ethiopia and Eritrea. Apart from a few skirmishes, such as Ethiopia’s 2006 intervention against Eritrea’s allies in Somalia, they have coexisted peacefully since the 1998–2000 war, even though their dictators have often talked of the threat of renewed conflict. Ethiopia initiated the change this April with the appointment of a new prime minister, Abiy Ahmed, previously an unknown senior official at the Information Network Security Agency (Ethiopia’s Internet- and phone-surveillance agency) and a member of the Oromo ethnic group, many of whom are secessionists. Trying to halt the decline of the Ethiopian People’s Revolutionary Democratic Front (EPRDF) regime, he quickly began a series of reforms, including freeing political prisoners, liberalizing the media, and recognizing the political opposition. Ethiopia has a symbolic status in Africa as the continent’s only uncolonized country, so nothing that happens there is without significance. After the fall of Emperor Haile Selassie in 1974, a Stalinist military regime headed by Mengistu Haile Mariam ruled until 1991. A 15-year civil war followed, after which the EPRDF, founded by Meles Zenawi, took power. The EPRDF is a coalition of ethnically based parties dominated by the Tigrayan People’s Liberation Front (TPLF), which follows a reformist and authoritarian neo-Marxism. The regime’s dictatorial tendencies, long masked by economic vigor (growth has averaged 7 percent since 2005), became apparent after Meles’s death in 2012, when the government began to crack under the pressure of regional disparities. Ethno-regionalists among its leaders pretended to back democratization to win the sympathy of the international community, hiding their intention to help themselves to a share of a rapidly growing economy. Western admirers of Ethiopia’s “economic miracle” closed their eyes to what Meles himself had called a Bonapartist system. An attempt to extend the urban perimeter of Addis Ababa provoked uprisings by Oromo living in the area around the capital; smallholder farmers there feared that land speculation would only benefit the Tigrayan politicians of the TPLF. From November 2015, the riots spread throughout the Oromia region, home to 35 percent of the population, and have continued, with hundreds of deaths and thousands of arrests. The Oromo were suspected of being responsible for the June 23, 2018, bombing of a rally in Addis Ababa, which Abiy narrowly escaped, though two people were killed and more than 150 injured. This renewed tension coincided with a major financial crisis. Foreign direct investment rose from $1 billion to $4 billion between 2012 and 2018, while the trade deficit grew from $3 billion to $14 billion. This was partly caused by a muddled and costly development policy, with enormous construction projects such as hydroelectric dams on the Blue Nile. Massive investment also increased the trade deficit by boosting imports. The EPRDF regime began to fall apart, and by the time Abiy came to power, its survival was threatened. In parallel with his domestic reforms, Abiy launched a diplomatic offensive on the most controversial subjects in the region: the utilization of Nile waters and peace with Eritrea, whose independence, gained in 1993 and strengthened by the 1998–2000 war, had cut Ethiopia off from the sea. On June 10 he promised Egypt’s president Abdel Fattah el-Sisi that Ethiopia would not use any of Egypt’s share of Nile waters. Ethiopia had until then been close to Qatar, but this gesture signaled its switch to the Saudi-United Arab Emirates camp, where Egypt has a central role. On June 15, UAE Crown Prince Muhammad bin Zayed al-Nahyan confirmed a $3 billion gift to Ethiopia. Normalizing relations with Eritrea is particularly important because separatism is growing in Ethiopia’s Tigray region, on the shared border. Ethiopia is concerned about separatism among the Tigrayans, who have been marginalized by the weakened EPRDF regime; Eritrea fears attacks by Tigrayans who have settled in its own border regions. With this shared interest in reasserting authority over their territories, Abiy and his Eritrean counterpart, Isaias Afwerki, demonstrated their reconciliation at the Ethiopian New Year (September 11, 2018) with a symbolic walk along the border, in military uniform, to discourage Tigrayans from secession. In 1991, when Mengistu’s government was overthrown at the end of the civil war, the victorious TPLF hesitated for nearly a year between declaring Tigrayan independence and taking power at national level; Meles’s influence tipped the balance in favor of centralism. He maintains this balancing act almost to the point of absurdity: The agreement was signed in Asmara, capital of Eritrea, a state that seceded from Ethiopia, because the OLF’s chairman, Dawud Ibsa Ayana, has been in exile in Eritrea for the last 18 years, under the protection of President Isaias. But the agreement could still lead nowhere, as Dawud controls only one faction of the OLF; the rest of its members live in Ethiopia’s Oromia region or in the diaspora, mostly in the United States and Germany. 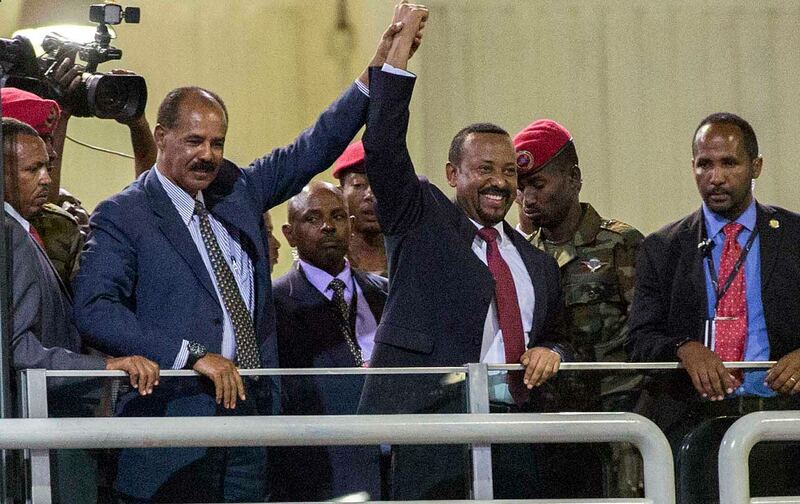 Though Ethiopia has set the reform ball rolling, Eritrea has been quick to come out of isolation. It has been subject to international economic sanctions since its 2006 military intervention in Somalia in support of the Islamic Court Union (ICU) government, which had declared jihad against Ethiopia. The United States, which considered the ICU to be linked to Al Qaeda, backed Ethiopia in driving the Islamists out of Mogadishu. Eritrea, already very poor, paid a heavy price for its strategic error, losing all foreign direct investment and nearly all aid. Isaias asked Saudi Arabia for help and even allowed the UAE to build a naval port and an air base in Eritrea, which were immediately used in the Yemen conflict. Isaias hopes that peace with Ethiopia will lead to the lifting of sanctions and that he won’t have to loosen his grip on his country to please the international community. The likelihood of war with Ethiopia seems to be receding. Even the Ethiopian Ginbot 7 rebels, who are sheltered by Eritrea and play a key role in any action against Ethiopia, make no secret of their reluctance to fight Abiy, whom they believe to be very popular. For Tigrayans in Eritrea, the reconciliation could allow the resumption of trade, which has been blocked for nearly 20 years. It could also lead to the abolition of military service, currently compulsory for both sexes between the ages of 20 and 45, which has led many Eritreans to choose exile. Everyone still wants to know if reconciliation with Ethiopia will lead to greater freedom, or just be a diplomatic cover for the continuation of a rigid dictatorship. While Ethiopia waits for Abiy’s policies to take effect, ethnic rivalries are growing and may prevent a peaceful outcome for his “great change.” These rivalries have been exacerbated by the “orphans of Article 39.” At the time of Mengistu’s coup in 1974, the civilian revolutionary far left opposed the military Stalinists on the ethnic issue. Ethiopia was a multicultural empire, but had always been dominated by one or another of its constituent nations. In 1991 the TPLF declared that it intended to create an ethnic federalist system, under which authority would be shared among the populations of each region. But this “revolutionary equilibrium” was flawed: Behind a facade of egalitarianism, the old Amhara elite were marginalized, to the benefit of the dominant Tigrayan population. Article 39 of the constitution made provision for regions to secede, but this provision, rendered ineffective by the dominance of the TPLF, soon came to symbolize both the broken promises of the state and the inaccessibility of any kind of self-administration to small ethnic groups. The problem is particularly hard to solve in Ethiopia, where seven or eight large ethnic groups dominate 70 tribes. Absolute ethnic federalism would inevitably lead to the failure of an Ethiopian nation-state. 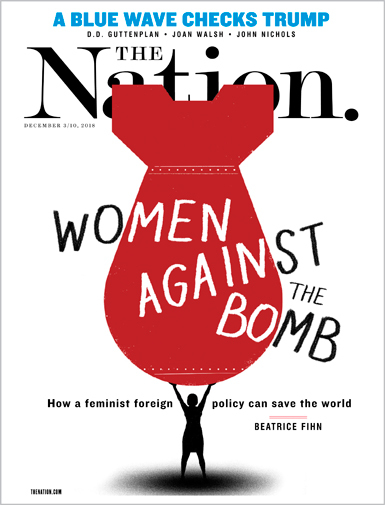 These initiatives, based on opposition to the historical authoritarianism of the government, are local at present, but could lead to nationwide disorder. Indeed, the central government does not know how to combat the hyper-democracy that has emerged with the decline of the state. The army still represents national unity, but is itself subject to ethnic tensions. In this period of change, nobody seems willing to risk reestablishing order in the name of a constitution that no one can interpret convincingly. Ethiopia’s budding civil society cannot yet help. The challenges are considerable, not only for Ethiopia itself, but for the whole of the Horn of Africa, which is already seriously affected by the conflicts in the Arab world. The collapse of Ethiopia’s government would have consequences reaching far beyond its borders. A strengthened government would, however, be a decisive step towards stability in Africa.